Hi, I’m Max. My family and I took over this amazing shop in 2017 having enjoyed visiting it as customers and local residents for several years. Pandemonium has always been about exciting and inspiring children – encouraging the sense of wonder that we all remember from visiting great toy shops when we were young. I feel my main job is to make sure that every child will find something they love in the shop, whatever their interests may be. That’s why every inch of space in the shop is used and why I am always on the hunt for new and interesting toys and games – what a tough gig…! Having two young kids myself, I also know how important it is to have activities and places you can visit to get out of the house and occupy an hour or two. That’s why in 2017 we opened a space at the back of the shop that is used as a playroom, for classes and clubs, and for children’s parties. We have a timetable of activities each week, so make sure to check on our Events page or sign up to our weekly newsletter on the homepage if you are interested in learning more. 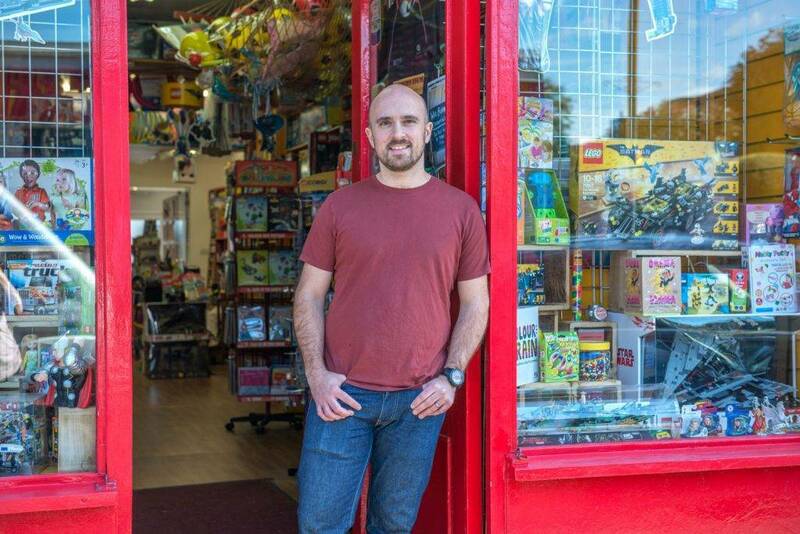 If you are not able to visit the shop in East Sheen, on this website you will find many of our favourite toys and games, giving you the opportunity to find an interesting and exciting gift from our very carefully selected range. We offer same day delivery on orders over £10 placed in SW14, and can provide next day delivery to anywhere in the UK.